Ludovico Einaudi is one of the world's most popular classical artists, with over 700,000 Spotify followers and and a unique style inspired by everything from Bach to West African music. He recently scored a viral hit with his "Elegy for the Arctic" video, which has been viewed more than 2.5 million times on YouTube. The New York Times sat down with the 61-year old composer and you can read an excerpt of their discussion below. Find the entire conversation here. NYT: Is there a genre or category that your music fits into? LE: I never feel at ease when they try to categorize my work. Also I think labels are in a way restricting. You can put the Beatles and the Rolling Stones in the same category, but the types of music, the colors each band evokes, are completely different. It’s the same with Mozart and Beethoven — they express two very different aspects of music. Today when they ask me if my music is minimal, is classical, is contemporary — I can say yes or no, but it doesn’t make sense of what I am doing. NYT: What about “classical crossover” — a genre that’s perched between classical and pop music, which some people say vulgarizes or dumbs down classical music? LE: No. My music comes from my personal background. When I compose, I search for myself. You pick from your memories, from your experiences, from your life, and you have to sense it. I don’t think about breaking barriers. But in a way, after I compose a piece, I can analyze it and can recognize things, and I can talk about something that comes from my experience with African music, or is connected with some rock album I love, or a piece by Bach or Stockhausen. 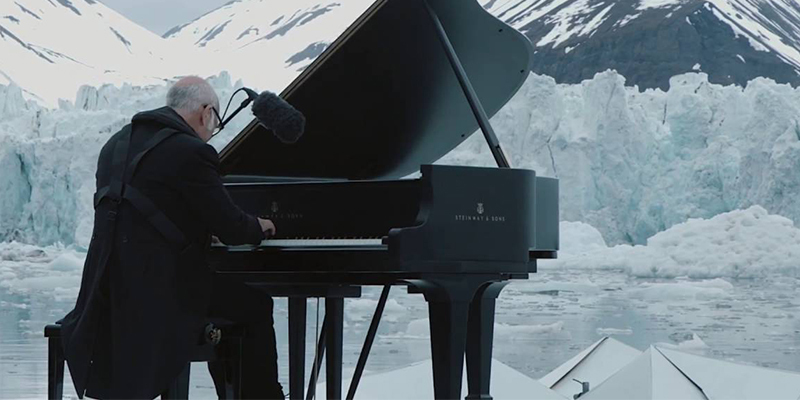 You can find Ludovico Einaudi sheet music, including "Elegy for the Arctic" here.